Rikta energy is the output from when the stabilizer fluid is mixed in with certain types of radiation. 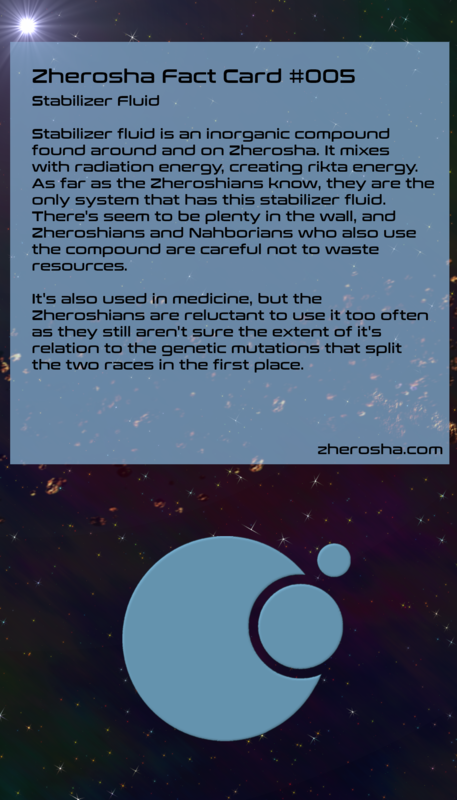 The Zherosians mine the wall with drones as exposure of the stabilizer to radiation will cause the asteroid to suddenly veer off course, putting anything in its path in danger. The drones are managed by an outpost which is heavily armed as a defense against wayward asteroids and raiders. The Nahborians found a way to use the stabilizer as a means to neutralize any energy. Because of this, the Nahborians act as the first line of defense in a space battle.